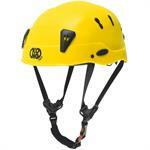 The R-ALF Pulley is the latest innovation in Rescue, Confined Space, and Work Suspension Systems. 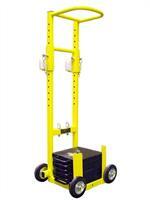 Includes an over-speed brake built in so that the pulley will lock and hold when a fall occurs. 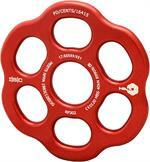 Creates a 3:1 or 5:1 mechanical advantage system. 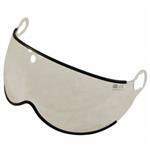 Polycarbonate visor for the SPIN ANSI Helmet. Available in Transparent or Smoke. 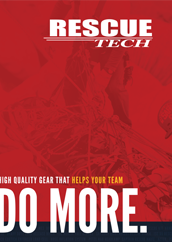 Rescue Professionals need gear that allows them to respond safely and quickly. 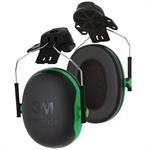 The Deluxe WRH is engineered for light weight and comfortable protection. Ruth Lee Confined Space Multi-Part Manikin, 110 lbs. A modified version of the F&R Duty Manikin. 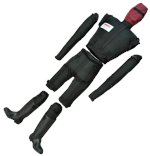 Manikin splits into smaller parts with no individual component weighing more than 55 lbs. (25 kg) Due to its detachable limbs it is easier to position in your rescue scenario. To accurately deploy flotation devices or other tools. The telescopic poles have adjustable clamps. Each clamp releases the section above in a smooth action enabling fast extraction / retraction. 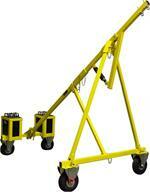 Portable anchor for use behind Structural Handrails, Balustrades & Parapet walls. Use behind Structural Handrails, Balustrades & Parapet walls. 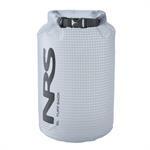 The Wading Pole is used as a depth and stability aid when wading through unknown terrain and deep waters. A lightweight, carbon fiber hook for attaching a line to a fixed point, at height or across water . For use in securing a line to a submerged vehicle. For searching under and out of the water. Powerful LED lights to illuminate murky waters. 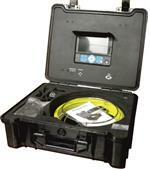 It utilizes a powerful, rechargeable Lithium Ion Battery and displays via a clear 7" TFT display. 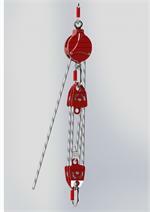 This rescue device comes with 82' rope stuffed loosely and can be used from land, boat or any stable platform. New professional shock-absorbing helmet. Conforms to ANSI Z89.1-2009. The D2 is our newest Escape System. A true "double Stop" - Hands free Stop and Panic stop. Handle rotation, rather than handle squeeze, controls descent. Includes EGRESS +PLUS, D2, Escape Hook and custom deployment bag. The Ruth Lee Prisoner Security Manikin has slimmer wrists to accommodate handcuffs. The wrists are reinforced with a heavy duty PVC to prevent damage and there is also a PVC removable cuff that will prolong the life of the manikin. The heavy-duty Translucent PVC-Free TobaTex reinforced material combined with welded seams result in a rugged, waterproof bag that will keep your gear dry and withstand the seasonal use and abuse. The cradle is secured to the craft. The casualty is guided onto the cradle and the outboard end is then hauled in, bring them safely on board in the medically preferred horizontal position. SOLAS approved.